Noah Baumbach’s films are the bitter yin to Wes Anderson’s fanciful yang. The two have collaborated as writers on The Life Aquatic With Steve Zissou and Fantastic Mr. Fox, and both dabble in arrested development, disconnection, and familial dysfunction. 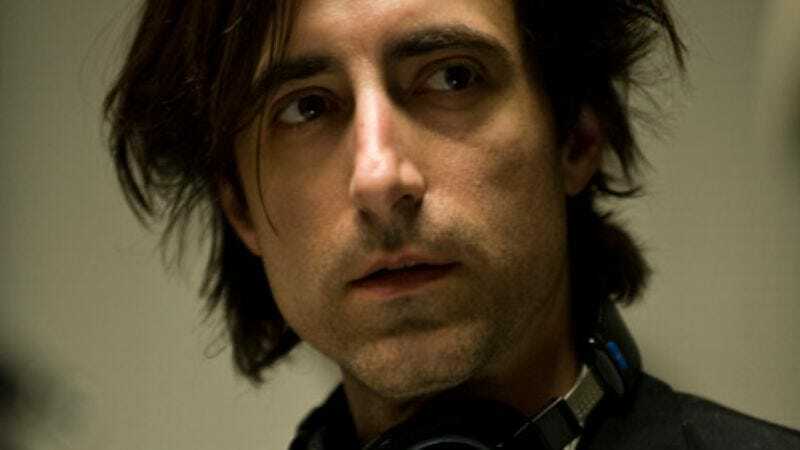 But where Anderson’s films have ballooned further into the fantastical, Baumbach has turned insular, making smaller, personal films about the neuroses of a severely disenchanted Gen Xer (Greenberg), a pair of narcissistic sisters (Margot At The Wedding), and his own semi-autobiographical The Squid And The Whale. Much like Todd Solondz’s early work, the films are often so acerbic that laughter and cringes go hand in hand. For his new film, Frances Ha, co-written with Baumbach’s Greenberg muse Greta Gerwig, Baumbach lightens up, crafting a slice of New York whimsy about the titular Frances (Gerwig) and her struggle to make it as a dancer in the big city. Coupled with the eternally plucky Frances and nary an unlikable character, Frances Ha is Baumbach’s lightest and most easily digestible film. The A.V. Club: How did the character of Frances Ha evolve? Noah Baumbach: It initially came from emails back and forth between Greta and me. I had written her asking if she’d like to do something together again, something in New York, and if she had any ideas. Ideas for something that she’d like to put in a movie, and it was less about the character at the time. It was more about characteristics and experiences, like, “Do you pay the surcharge at an ATM?” The characters came out of those emails. I think we both trusted what would happen, but I couldn’t really track it. I think we both understood the character in a way that never really got discussed. We never said, “Let’s write about a character who does this or this.” We had characteristics and events that somehow informed the character. Does that make sense? AVC: How much of Greta can be found in the fictional Frances? NB: I see Frances as a comic character that she and I invented, and then reinvented as an actor. I was joking that it’s almost like Peter Sellers as Inspector Clouseau. She inhabits the character, and the character has some biographical similarities. It’s born out of her, but not her. AVC: Do you view Frances as a hero or a tragicomic figure? She’s like a late-20s anti-hipster, with her aversion to digital communication and the willingness to speak her mind unfiltered. NB: I think of her as a hero. Part of my visual approach to the movie was to create a kind of cinematic experience for what might otherwise be an ordinary character. I wanted to give her a romantic, lush, joyful, funny, sad movie. I really love the character. Some of the decisions that she makes at the end of the movie, like taking a mundane desk job at a company where she used to dance—I think in the context of the movie—is heroic. Those are difficult decisions, and to be able to make them when you’re still young… They can be the hardest decisions. AVC: There’s not an outright unlikable character in Frances Ha. Was there a conscious decision to lighten up after the misanthropic Greenberg, or the characters in Margot At The Wedding? NB: It wasn’t deliberate. With Greta and the character, I tried to follow and listen to them, and the character seemed to have this hope. She’s a romantic figure, and part of her task in the movie is to wake up to certain realities. I also felt that my task as a director was to reward her romantic look at the world. While she may not be the dancer in the company in the way that she fantasized, I wanted her to have her moment that she gets at the end of the movie. It was like a trade-off. If the character was going to adjust and change her life in some way, then I owed it to her to reward her. AVC: Was black and white the creative decision from the start? It looks like French New Wave and Woody Allen were aesthetic influences. NB: Yes, certainly. I love black-and-white movies that are about contemporary subjects. There was something so contemporary about the character and the New York that we were shooting. At the time it was more instinctual, but I felt like it should be shot in black and white. I think it makes it instantly nostalgic in some way. After having made Greenberg in L.A., I was also coming back to New York, and shooting in black and white allowed me to see the city with new eyes. Like I said before, I wanted the character to have a cinematic experience, and black and white helps provide that. AVC: Greenberg portrayed L.A. as a kind of bizarre, predatory wilderness. Frances’ New York feels almost innocent by comparison. Will your heart always be in New York? NB: Yeah. I call New York my home. I grew up in Brooklyn, and this is something that Greta and I share. I’m from Brooklyn, she’s from Sacramento, and we both saw the city as a place that we might one day come to if we were able. [Laughs.] I always saw Manhattan as a place that maybe one day I’d be able to live. The joke on me is that now that I live in Manhattan, everyone’s moving to Brooklyn. It’s something that I related to in the Frances character, which was this idea of having a fantasy of the city and wanting to have that experience, with the city pushing back. It goes with the photography of the movie. It was a chance to shoot the city in the most beautiful way possible, while shooting a character who’s dealing with the economic realities of living in New York right now, which are not romantic. You can’t live a bohemian life there anymore without money. AVC: Not unless you’re a trustfunder. NB: Yeah. So the photography invokes a full-fashion New York, while we were dealing with a contemporary, very real New York. AVC: Your characters seem to suffer from a Holden Caulfield complex, where they’re desperate to avoid phoniness and pretension, but sometimes fall victim to it. Do you agree with that, and is it something that you struggle with, even at this stage in your life? NB: That’s interesting. Of course, everyone in the world loves that book, and we all probably feel like we are that person. Of course, that person is also 15. [Laughs.] I am interested in people’s notions of themselves and their lives, and their fantasies of themselves and their lives versus how their lives are actually working out. I think with someone like Greenberg, he’s really not been able to face up to it, and is really too old to be living that way, and living with that kind of notion of himself. I think the movie reflects that, and it goes back to your earlier comment about my view of Los Angeles. With Frances, it’s like she’s actually at that time in her life where, if you can make those adjustments, you can really live a happy life. That’s why I think the movie has a different tone, and a joy to it. I think I am interested in people at different points in their life, and I suppose Squid dealt with characters more around the age of Holden Caulfield, but I think that is why that book and character are so resonant. We all continue to struggle with those things throughout our lives. AVC: In your collaborations, be it with Wes Anderson or Greta, is it a flurry of activity, or is the process piecemeal? NB: It depends on the project. Life Aquatic was a rare experience in that we were both in New York without other things to do. We were able to meet daily and work. That movie was really born out of days and days of sitting face to face, pretty much in the same restaurant, over the course of a year. Fantastic Mr. Fox was not like that. We would find time to get together and work, and then there would be time apart, and we really had to make appointments to work. With Greta and I, we were not in the same place for most of it, but we did find time to sit together in front of a computer, in a café or a restaurant. A lot of the time, we assigned each other different scenes, and passed it back and forth. It really depends on circumstances. AVC: What’s a perfect day for Noah Baumbach? NB: Oh no! I’m trapped between the answer of hanging out with my kids and looking at the knight armor at the Met, or shooting a movie.